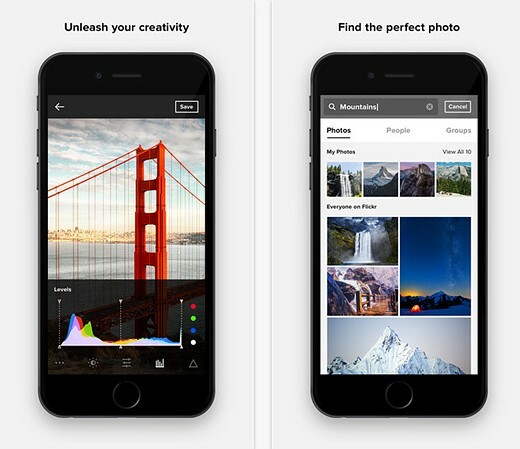 Image sharing service Flickr has released a major update to its mobile app for iOS devices. In the new design images are displayed in a similar way to Apple's own Photos app, with your images grouped by capture date. You can easily edit them using a range of tools including levels, digital exposure compensation, saturation and contrast. 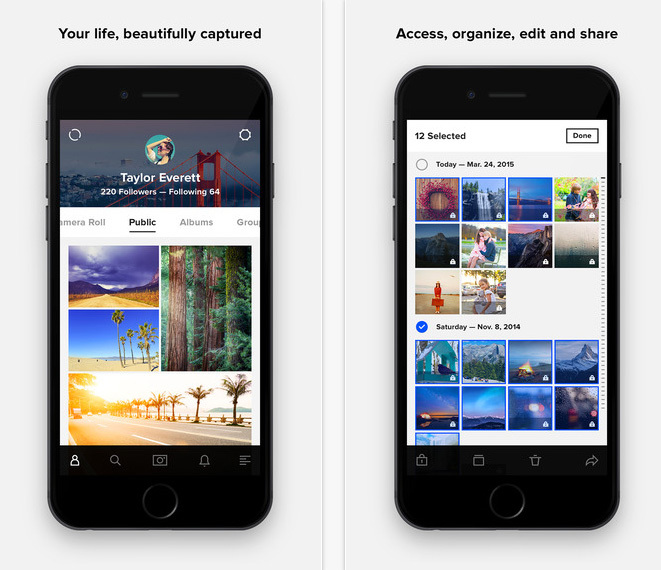 The new version of the app also emphasizes the auto upload feature, trying to convert Flickr from an image-based social network into everybody's go-to photo app and directly competing with services like Dropbox or Google Plus Photos. When you launch the app for the first time you are asked if you want to activate the feature. If your answer is yes, images are uploaded automatically but set to private, though you can easily make your favorite ones public. Flickr offers 1TB of free storage, so you shouldn't have to worry about running out of space anytime soon, even with auto upload activated. The update also includes the ability to directly share images to Instagram, a few new photo filters and general performance improvements. You can download the latest Flickr version from the Apple App Store now. I really don't like white space down each side of the photostream. So much wasted space on the sides. Has anyone any idea how I view Private photographs in the upgraded app please (without scrolling through Camera Roll to find the date taken, or having in an Album)? I always upload as Private View first and see if I still like the shot on an iPad after a couple of days, then publish maybe one a day (or delete if I don't still like them!). Otherwise I like the app. Love it !!!!! I have been with Flickr for years now. Was a little worried for a while they would not keep up. But, not now. I like there new look. I like the new look in the Public tab. It looks more like the website now. I don't like the Camera Row tab, but I'll never use it anyway as I never post photos from a smartphone to Flickr. I only post photos that look more professional and are taken with real camera equipment not toy cameras. BTW, unless you want every darn photo you take on your smartphone automatically uploaded to Flickr you better turn off that option. Agreed. Turned it off. I wanted a site to showcase my best shots, not every shot, and after some debate chose Flickr. Who uploads every picture they take in the digital age? Nuts. So *this* is why they were rolling out the camera roll thing on the website. Hmm, don't really like the white background but I'm sure I'll get used to it at some point. "Flickr for iOS update brings camera roll look, and feels like crap." OMG! What have they done to the layout?!? I'm not happy. I'm using a dual screen high res (2560x1440) setup. But now lots of white spaces around my photostream. All waste... :-( I don't want that! I want efficient layout (= using entire screen) back. Anyone knows how to restore and/or configure the layout of the flickr photostream screen? I agree. A black background defines a picture look. A white background makes it look like cheap advertising, A really bad move, this change of background. Photoshop provides black background, and greys as you wish and feel comfortable with for creation. Android got the same update. There are also changes in the Flickr web site.